The WATG Urban design, which showcases a series of curved angles and windows, won the Freeform Home Design Challenge in 2016, inhabitat reported. 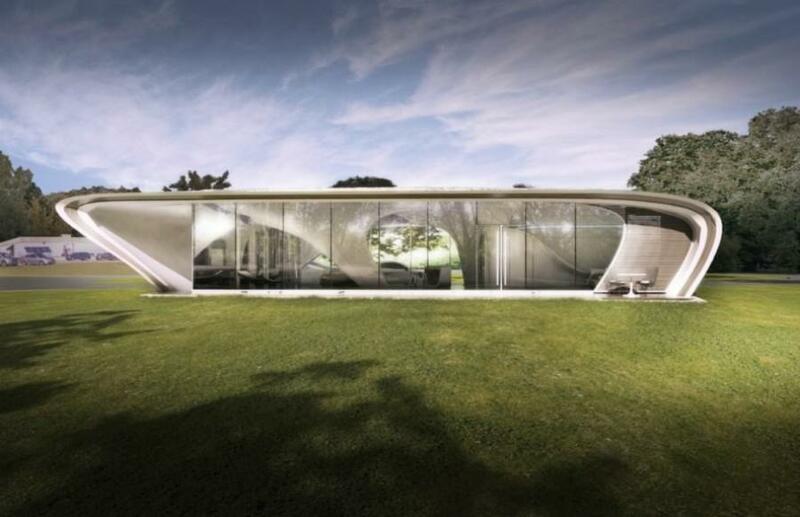 Ground will soon break on the world's very first 3D-printed house in the woods by the Tennessee River in Chattanooga, Tenn. The WATG Urban design, which showcases a series of curved angles and windows, won the Freeform Home Design Challenge in 2016, inhabitat reported. Since winning, WATG Urban has teamed up with Branch Technology, an architecture firm with a focus on 3D printing. “The arching form provides structural rigidity to the residence, using various spring points throughout the floor plan, allowing the structure to carry roof loads and provide large open-plan living spaces, shaping structures in new ways without any restrictions,” Branch Technology said of the house's design, which is meant to evoke both a futuristic feel, along with a connection to the surrounding nature, inhabitat reported. Branch Technology is currently researching materials to use when printing the structure, including gypsum materials for fire protection, reinforcement and wall finishes. In addition, the company is working with a structural design firm to make a passive mechanical system in an effort to create a net zero energy building, inhabitat reported.